While electronica music has exploded in recent years, Cornelius has seemed to be oddly absent from much of its popularity, which is surprisingly since he was one of the first to make electronica poppy. Even now, his new album has fallen somewhat under the radar. The album was recently released overseas, and no one's even talking about it over here yet. What gives guys? Stop crying about EZArchive and start posting! (you too Sean!). 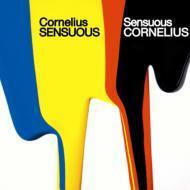 His new album Sensuous may, in fact, be his most poppy and accessible album to date. In fact, it may be my favourite so far, and could be a late edition to my album of the year (so long JT!). It was difficult selecting some songs to post since there are so many stand-out tracks, and some are simply amazing. Get on them before you don't! hey you dont know how long it got me to found this mp3 THANKS A LOT!